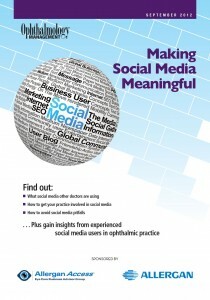 American Academy of Ophthalmology, 2013 - Medical Marketing Enterprises, L.L.C. Here are the presentations we gave this year in New Orleans at the American Academy of Ophthalmology (AAO), 2013. The slides are hosted on Slideshare.net and are simply embedded on this page. If you’ve questions, ….ask! SPE08: Use Blogging & Social Media to Super Charge Your Website from Randall Wong, M.D. This course was presented with Andrew Doan, M.D. I reviewed the basic concepts of starting a blog and emphasized the many reasons why a modern website MUST be built on CMS (blogging “software”). I don’t have access to Andy’s talk. Course 188: Website 101: 3 Steps to Creating Your First Website from Randall Wong, M.D. There are only 3 basic steps to creating your first website. You must choose and purchase a URL (that’s the “www…..”), select a hosting company and install WordPress.org! It’s really, really easy and very inexpensive, but powerful. Course 511: Content Marketing: Getting Your Web Page Ranked from Randall Wong, M.D. This was delivered on Tuesday morning. I gave the basics of content marketing explaining that websites are compared by the content. Rankings on “search” are based upon many factors, but the relevance of the content to the keywords “Googled” is paramount. 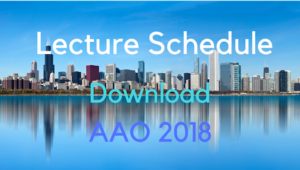 You Are What You Market: Young Ophthalmologists, AAO By Randall Wong, M.D. from Randall Wong, M.D. No matter who you are, start a website now. Residents and fellows can get a jump on Google rankings by establishing a website today. Established practices can demonstrate to existing patients and new colleagues a willingness to engage and a modern marketing plan for growth. The public (your next patient) is demanding; a web presence, personal transparency, information about their health and a medical practice which operates transparently.